As you know, today is officially Nexus S day at Best Buy, and it comes just in time for end of the holiday season. Now a lot of you gadget hounds are probably looking to get your paws on one, but you might want consider if it’s worth the upgrade from your current Nexus One or Galaxy S handset (checkout our comparison chart here). Samsung’s new Google branded Android phone kinda came out of nowhere. It wasn’t long after the first round of rumors appeared online, that Google semi-officially announced the existence of the device. Probably the biggest rumor about the Nexus S was the name itself. Everyone in the tech community, including myself thought it was going to be called the Nexus Two. Obviously that isn’t the case. Speaking of cases, the only hiccup I hear so far about the Nexus S, is case design. First reviewers are reporting that the phone feels cheaply made. But I don’t think that will stop any potential buyers. The real deal with the Nexus S is that it’s the latest and greatest Android phone available. It’s the first device to come with Google’s new Gingerbread version of Android. Don’t worry we should be seeing the round of custom Gingerbread Roms, any day now. This is still the main selling point of the Nexus S.
Aside from Gingerbread, Samsung’s Nexus S comes with a 1GHz Hummingbird processor, a huge 4-inch Super AMOLED Contour Display with 800×480 resolution, 512MB of RAM, 16GB of internal storage, 5 megapixel camera that’s capable of 720p HD recording, and smaller 640×480 front facing camera. Don’t forget the standard set of radios and receivers like 802.1 b/g/n, Bluetooth 2.1, and aGPS. Looks good on paper, doesn’t it? If your dying to buy today you have only two options. 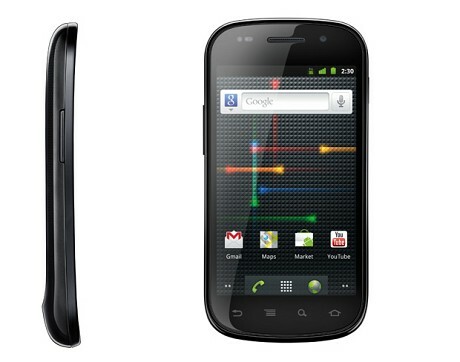 You can get the Nexus S unlocked, with no contract for $529, or for $199 with a T-Mobile service plan. The Nexus S is only available at Best Buy or online at bestbuy.com. It will also be available soon at the UK retailer The Carphone Warehouse. Check out the latest Nexus S ad from Google.